After working through the weekend to pare down a proposed school tax increase following the failure of the Board of Education to introduce a budget last Thursday, board member agreed on a tentative spending plan at an emergency meeting Monday night which eliminates 10 jobs but keeps tax hikes closer to the state-imposed 2 percent cap. Originally, a proposed budget for the 2016-17 school year raised expenditures by $7.1 million and taxes by $5.7 million. A revised budget introduced Monday increases spending by $3,069,056 and raises taxes by $2,298,604, including debt service payments. “We are still five weeks from needing a final number,” said Interim Superintendent Thomas Gialanella. Savings over the budget that was proposed last week was achieved by eliminating 10 positions and switching to full self-insurance for employee health benefits. “Fairview Insurance Agency would like to propose to the board that we consider going self-insured for our medical,” Business Administrator Jim Edwards said. Fairview was appointed in February to act as the district’s insurance broker, replacing Conner Strong & Buckelew, whose contract was canceled during the first meeting of 2016 when a new board majority took office. Part of the confusion over the tax rate, Edwards said, is because Fairview has only been Brick’s broker for three weeks and is still calculating and projecting Brick’s employee benefits costs. The new firm also estimated that Brick’s prescription benefits would cost $6.4 million in 2016, down from an original projection of $6.8 million, Edwards said. Under full self-insurance, the district would select a third-party administrator to oversee coverage, but would directly pay the cost of individual medical claims. Such a switch would likely save about $3 million, Edwards said, reducing medical benefits costs from $24 million to $21 million. The staffing cuts would go into effect next school year. The specific positions under consideration to be cut were not revealed at the meeting, but Gialanella said they consist of administrators, teachers and paraprofessionals. Under the proposed budget, expenditures would increase by about 2.2 percent and the tax levy would increase by 2.36 percent, both over the state’s 2 percent cap. The district, however, did not raise taxes or expenditures to the full amount allowed under the cap over the past three years, providing a loophole under which this year’s budget could apply the difference without triggering a referendum vote. Edwards said the budget uses $352,483 in banked cap funding. 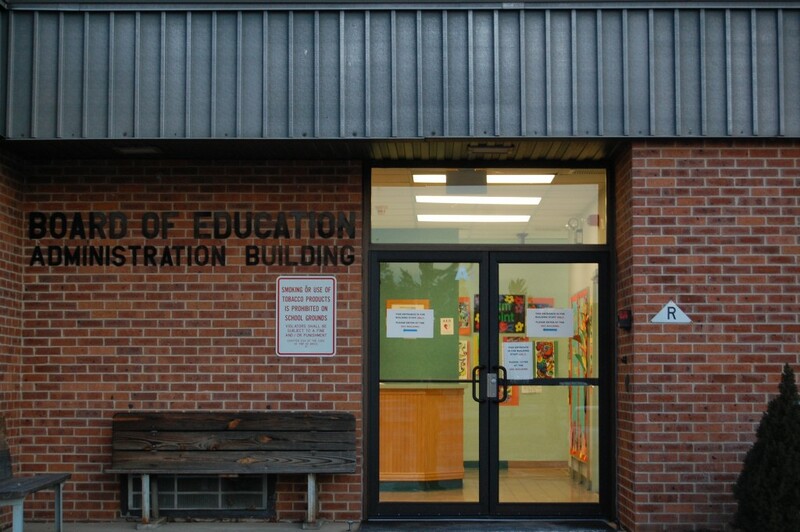 The budget will be up for a final vote and public hearing April 28 at the Board of Education’s regular meeting at Brick Township High School. Shorebeat editor Daniel Nee contributed to this story.